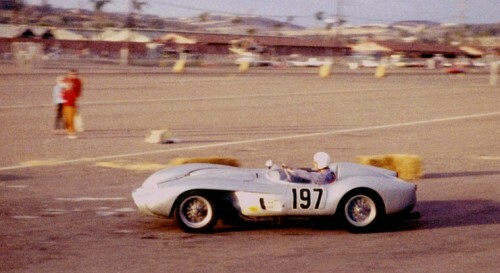 The Santa Barbara based driver appeared at Del Mar on December 9-10, 1961, with a piece of southern California racing history, Ferrari Testa Rossa #0710. Brashear in the ex-John Von Neumann, ex-Richie Ginther, ex-Mike Roetnor car at Del Mar. The veteran car wasn't particularly suited to the tight course created with haybales and rubber cones on the horse racing track's parking lot. 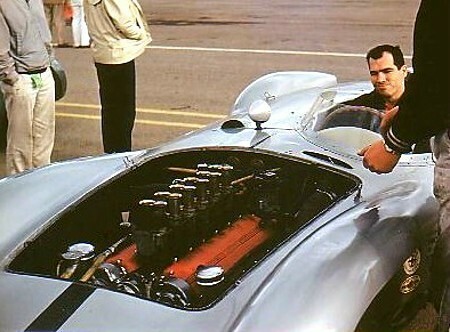 All alone in the vastness of the Santa Barbara airport, Brashear in his Class "H" Modified Devin-Panhard.